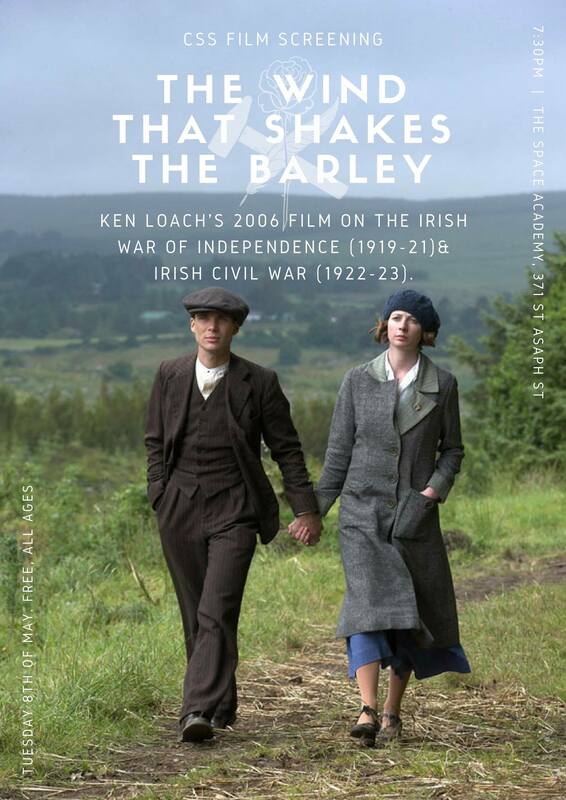 Ken Loach’s 2006 film is a fictional story set during the Irish War of Independence & Irish Civil War of two brothers who join the Irish Republican Army to fight for independence from the United Kingdom. Discussing the purpose of the film, Loach explains that “Every time a colony wants independence, the questions on the agenda are: a) how do you get the imperialists out, and b) what kind of society do you build? There are usually the bourgeois nationalists who say, ‘Let’s just change the flag and keep everything as it was.’ Then there are the revolutionaries who say, ‘Let’s change the property laws.’ It’s always a critical moment.”. The film will have a brief introduction from a member of the Canterbury Socialist Society to help with a bit of contextualisation.